Fog and mist were the key hallmarks during my vacation to Victoria last July. Locals assured me it was an unusually chilly summer and that their normal July weather was governed by the Pineapple Express. They swore to me that July on Vancouver Island felt a lot like being in Hawaii. We never saw anything even approaching tropical temps, but there was an eerie beauty to the misty weather. This entry was posted on Tuesday, April 3rd, 2012 at 10:00 AM. 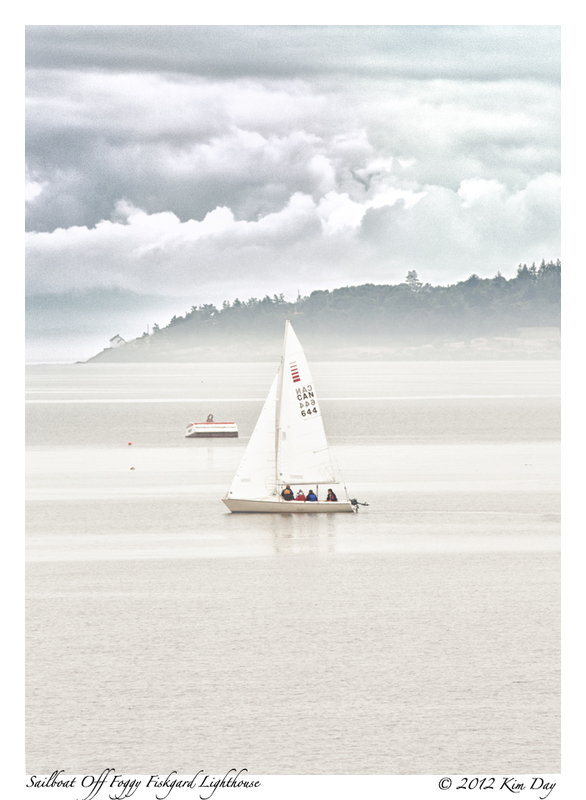 It is filed under Canada, Globetrotting: Near and Far, Travel, Victoria and tagged with British Columbia, Canada, Esquimalt Harbor, Fisgard Lighthouse, Fog, HDR, Pacific Ocean, Sailboat, Vancouver Island, Victoria. You can follow any responses to this entry through the RSS 2.0 feed.